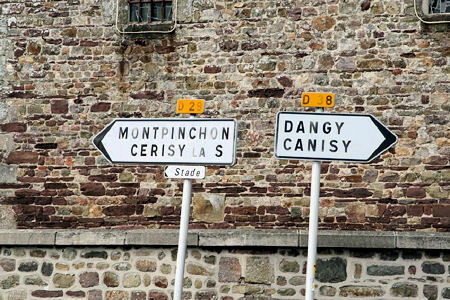 From the town crossroads take the D29 signposted Monpinchon & Cericy la Salle (& stade). 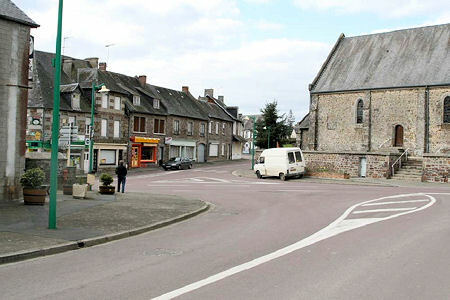 You will leave the crossroads with the EpiService shop and Boulangerie/Pâtisserie on your left and the Church on your right. 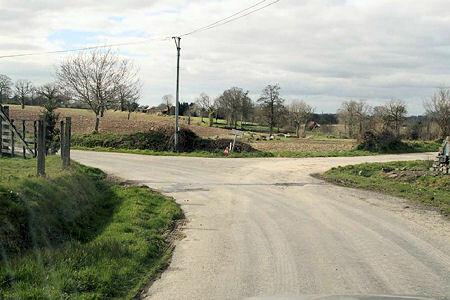 Very shortly after leaving the town, at just 0.4km, you will see a large cross forming a junction [above]. Take the left fork here. This is the D206 but it is not marked as such. It is quite a twisty road. At 1.2km you will go down a hill through a tiny hamlet, and see a pink house on your right. 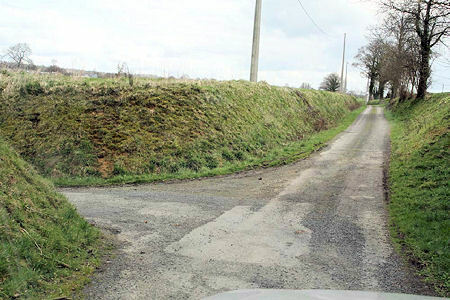 At 1.55km the lane turns 90-degrees to the left, but it is possible to go straight on ï¿½ do not! Follow the lane around to the left [pictured above]. You may notice a small stone shrine on your right hand side, if the grass is not too long. 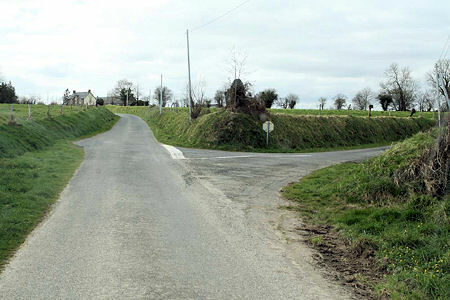 Very shortly afterwards, the lane turns 90-degrees right, with a farm and barn on your left. 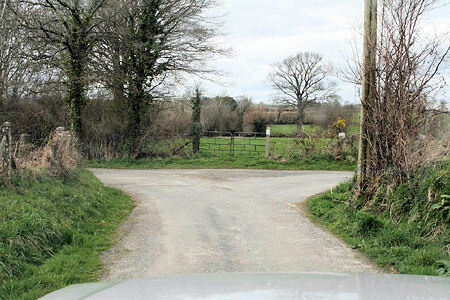 Follow the lane around to the right. 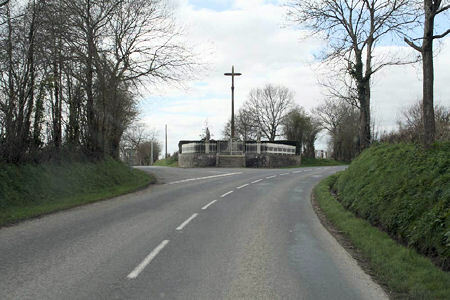 ……..a ‘T’-junction faced by a metal gate [above left]. Turn right here. Very shortly after, at 3.25km, you take the first left, between the high banks of the bocage [above right], and you’ve arrived at Le Chenil du Caravelle! To view the print friendly version you’ll need Adobe Reader Software Click this link to download free.